Battery technology (lifespan, reliability, etc.) has improved so much that companies like Apple have removed user-replaceable batteries from their products (laptops, iPads, etc…). Some see this as an issue, but we feel that the benefits—stronger cases, lighter devices, less maintenance—far outweigh the potential loss of flexibility. However, this does not mean that having a backup solution is not a good idea. For those who like to be prepared, Tekkeon has been the go-to source for reliable, long-lasting, external rechargeable batteries. Tekkeon has a whole line of portable battery packs for all kinds of applications. They have units which can power up laptops, DVD players, and other power hungry devices. They also have smaller power units for less juice-hungry gadgets. Many of Tekkeon’s customers carry more than one device and that trend was the impetus for the creation of the dual-port TekCharge. 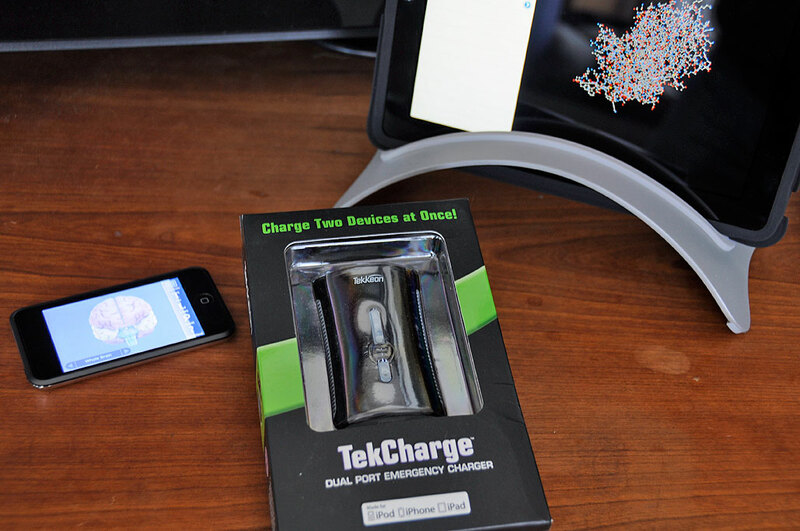 The TekCharge comes with all the tips (mini USB, micro USB, 30Pin) and accessories(AC adapter, USB cable) needed for most of the popular devices (cell phones, GPS, etc…). 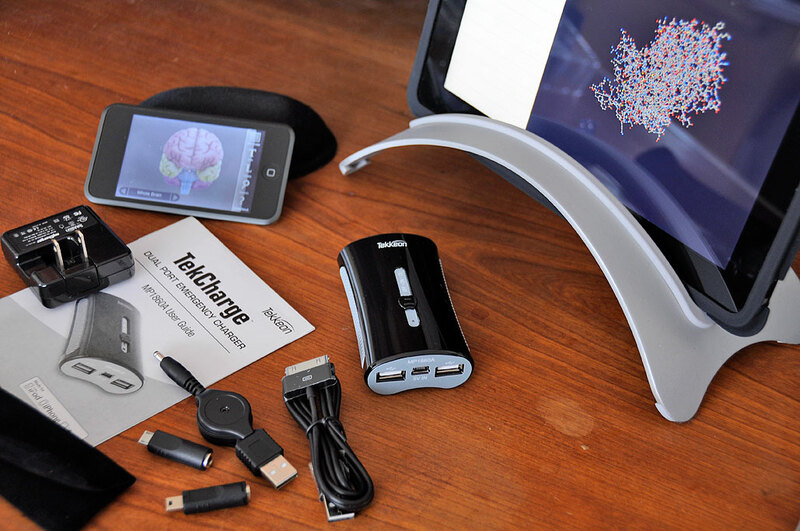 The TekCharge’s flexibility also extends to its recharging options. Recharging the TecCharge powerpack may be done either from an available USB port or directly from a power outlet. The AC power brick can also be used to charge your USB-cabled gadgets directly.